It is hard to find a better engine that offers up to 150 hp. These engines are equipped with single overhead cams and double overhead cams depending on the Honda model that you own. One of the things that you will love about our D16Z6 for sale is that this model includes the VTEC technology. An electronic sensor automatically switches between single or dual camshaft styles to improve your engine efficiency at higher speeds. Our D16Z6 for sale produces absolutely clean emissions. We know there are a lot of engine dealers that have varying prices. The majority of sellers make claims that are untrue about the quality of their engines to get you to click the buy button. We avoid this approach and treat you better than that. Our Honda D16Z6 for sale is priced to sell quickly. We do not have old engines sitting in stock begging for someone to buy them. Our inventory moves fast because we know how to treat customers right. The price we quote you for a D16Z6 for sale is the only price you pay plus the actual shipping. 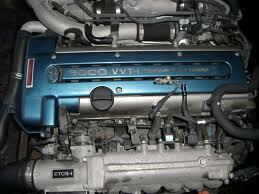 We deal exclusively with JDM engines. This provides us with an advantage in the Japanese engine market. Our engine specialists know these engines inside and out and only buy the absolute best. We offer an extended warranty on these rebuilt engines as an additional assurance of our quality. Every D16Z6 for sale in our inventory includes this warranty. We are 100 percent sure that you will be satisfied with your purchase after our engines arrive. We use a quote form to acquire some basic information about the engine that you need. We have found this system to be more reliable than placing items on our website that we do not have in stock. One of our engine specialists will email you with our price and shipping quote. You can call (866) 289-3100 to order by phone or to ask questions about our D16Z6 for sale. 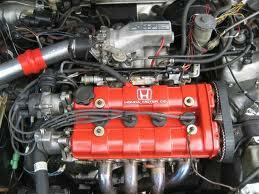 Honda lovers know what a K20 DOHC i-VTEC engine can do on the open road. These engines are built for speed and dependability with plenty of torque in a compact car. U.S. dealerships offer a source for Honda motors, but these are sold at retail prices. 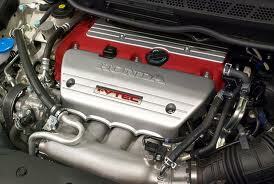 The price of these engines is not cost effective when replacing the engine in an old or new Honda. Our rebuilt engines include the K20 for sale. These remanufactured engines are rebuilt by automotive specialists that never sacrifice engine integrity during a rebuild. Our JDM motors are perfect for Civics, Acuras and Integras. You do not have to settle for a junkyard engine that has not been taken care of properly. We make a commitment to offer you the very best K20 for sale. You should not have to purchase an engine that has close to the same amount of miles that your current engine has on it. These types of used engines are not the types that we choose to sell. When we put the K20 for sale in our inventory, it has been checked in accordance with Honda remanufactured specifications. We do not overprice our engines regardless of the name brand. Hondas are known worldwide for dependability and street performance. This does not mean that we should inflate the price. You should not have to pay more because you own a JDM automobile. Our purchasing power allows us to offer the K20 for sale at one of the lowest prices you will find online. You still receive the same 4-cylinder quality that you expect. We know that Japanese emissions standards are very strict and automobiles rarely go above 40,000 miles before they are scrapped. By the time these engines become re-certified by Honda technicians, they are just like new and are ready for years of trusted ownership and durability. We stay away from scrap yard engines or second hand dealers. We choose to deal directly with JDM suppliers to deliver K series engines like the K20 for sale, K20A, K20A2, K20A3 and down to the Z23 series. Fill out our free quote form or call us directly at (866) 289-3100. You are moments away from paying less than you ever thought you would pay for a Honda K20 engine. Searching for a reliable K20 for sale is not difficult anymore. Do not settle for less than the quality you deserve. Our rebuilt K20 engines fit perfectly into your Civic, Integra or Acura without modifications needed giving you true Honda OEM quality and performance.